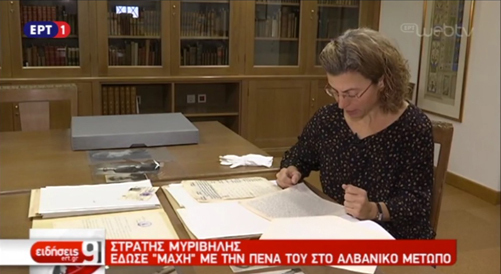 On the occasion of OXI day (October 28th), Archivist Leda Costaki, who has processed the personal papers of novelist Stratis Myrivilis, was interviewed by ERT about Myrivilis's coverage of the Greek-Italian War in 1940, as a war correspondent. Οι "Βιβλίων Τόποι" και η εμπνεύστριά τους δημοσιογράφος και φιλόλογος Λαμπρινή Κουζέλη ξεναγήθηκαν το Σάββατο 10 Νοεμβρίου 2018 στην ανακαινισμένη Ανατολική Πτέρυγα της Γενναδείου Βιβλιοθήκης, όπου έχουν μετεγκατασταθεί όλες οι αρχειακές συλλογές της Αμερικανικής Σχολής Κλασικών Σπουδών. 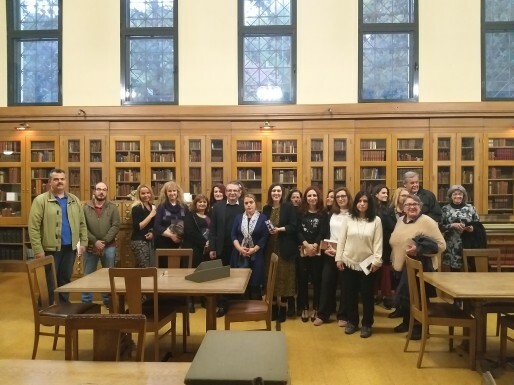 The Gennadius Library and the Association of the People of Krokylion organized an event to celebrate the conclusion of the "Ioannis Makriyannis. Vital Expression" exhibition. 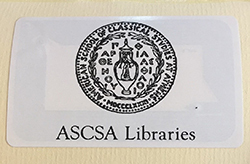 The ASCSA's libraries (Blegen, Gennadius and the Wiener Laboratory) are undergoing a major reclassification project for their collections following the Library of Congress system of call numbers. Live updates will be posted here as well as on the Facebook pages of the School. 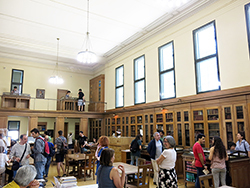 After several months of extensive remodeling (Nov.2017-March 2018), two months of relocating (April -May 2018), we finally made it to our new home: The East Wing of the Gennadius Library (a.k.a Gennadeion East). 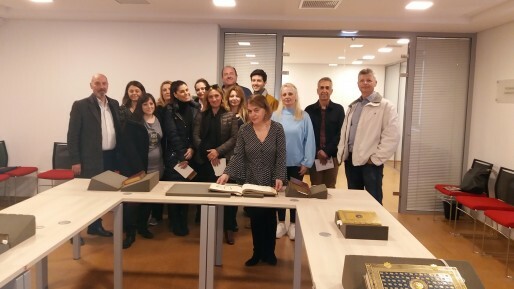 From May 10 to May 25 the Gennadius Library, presented “The History of Greek Printing (15th-20th century) through the Gennadius Library Collections. Με ιδιαίτερη επιτυχία πραγματοποιήθηκαν τη Δευτέρα 19 Μαρτίου τα εγκαίνια της έκθεσης της Αλεξάνδρας Αθανασιάδη 'Έργα πέρα από τις γραφές του Καβάφη' στην πτέρυγα "Ιωάννης Μακρυγιάννης¨. 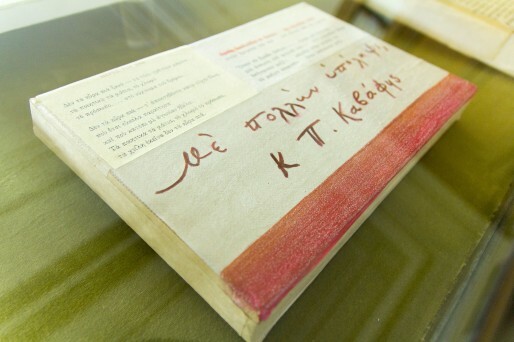 We are proud to announce that during the months of August, September and October 2017, the research collections of the Gennadius Library were tagged with RFID security tags and the books, including the periodicals of the “Dory Papastratou Reading Room,” were moved to new mobile shelving in the new Ioannis Makriyannis Wing, which will be officially inaugurated in June 2018. 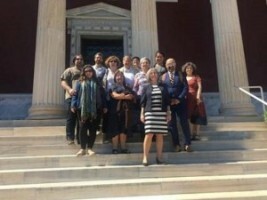 The Overseers of the Gennadius Library of the American School of Classical Studies at Athens have announced the Stavros Niarchos Foundation as the winner of the Gennadius Prize awarded for outstanding contributions to the advancement of knowledge of post-antique Greece. Με την ευκαιρία της επετείου των 450 χρόνων από τη γέννηση του Claudio Monteverdi, το σύνολο Canto Secreto θα ερμηνεύσει μουσική από την Ιταλία του 17ου αιώνα. 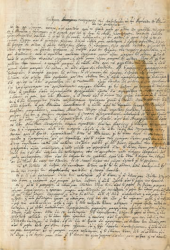 Starting September 2017, the libraries of ASCSA (the Blegen, the Gennadius and the Wiener Laboratory) are undergoing a major reclassification project for their collections following the Library of Congress system of call numbers. 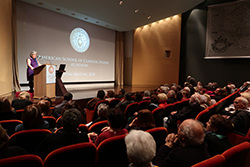 The New York Times Democracy Forum and a lecture by Professor Mary Lefkowitz, later followed by the Nights Classical Music at the Gennadeion in September begin a year of diverse lectures and events ahead. 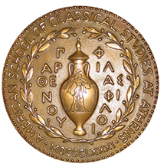 The American School of Classical Studies at Athens (ASCSA) has been awarded three program grants totaling $900,000 to modernize and update its library holdings. Due to the transfer of books to the new mobile shelving in the refurbished West Wing of the Gennadeion, the Library will remain closed to the public from August 5 to October 31, 2017. We apologize for the inconvenience. 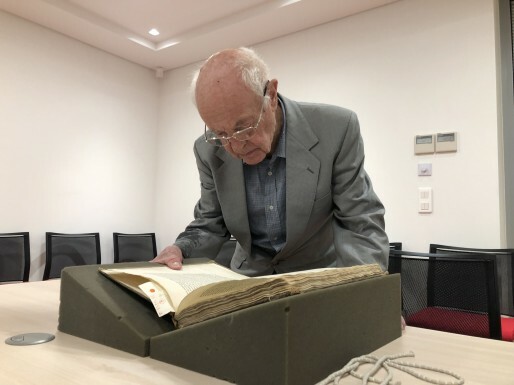 At the most recent Vergos Auction the Library acquired a rare manuscript bearing the title "Short Description of the Events around the Siege of Athens" (Σύντομος περιγραφή τῶν διατρεξάντων εἰς τήν Ἀκρόπολιν τῶν Ἀθηνῶν, εἰς τήν πολιορκίαν) [c. 1827]. 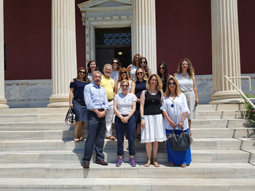 Gennadius Senior Librarian attended The History of Libraries Summer School – 15cBOOKTRADE at Oxford, Lincoln College from July 3 to July 5. 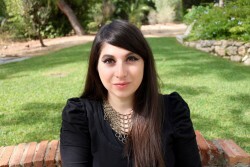 Nassos Papalexandrou, Associate Professor of Art History at the University of Texas at Austin, received a National Endowment for the Humanities fellowship from the School to spend a year researching “Greek Antiquities as Diplomatic Gifts in Greek-U.S. 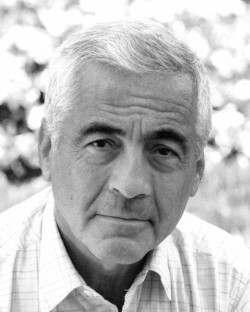 Relationships after WW II.” An alumnus and former faculty of the ASCSA, Papalexandrou shares insights from his present work in this Q&A. 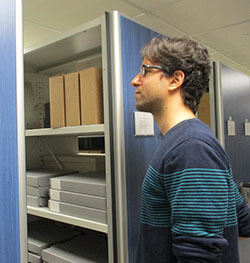 Associate Member Juan Carmona Zabala’s project, “Politics, Work, Leisure: Oriental Tobacco in Greece and Germany (1880–1945)” has led him through archives at the Gennadius Library and Athenian banks; to once-prosperous tobacco farming villages in northern Greece; to the port of Trieste; and to German centers of the interwar cigarette industry Dresden, Hamburg, and Berlin. 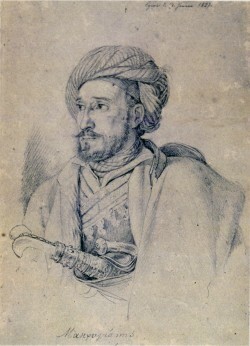 The emerging story of how the political and economic culture of the day affected the peasants who grew and sold the tobacco has yet to be told. 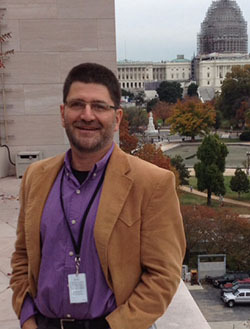 Carmona Zabala shares his insights and findings in this Q&A. To Σάββατο 24 Ιουνίου, ο Δημήτρης και η Ελένη Καραγιάννη, ψυχίατροι-ψυχοθεραπευτές και οι συνεργάτες τους από το θεραπευτικό και εκπαιδευτικό Ινστιτούτο «Αντίστιξη» ξεναγήθηκαν στις εγκαταστάσεις της Αμερικανικής Σχολής Κλασικών Σπουδών. 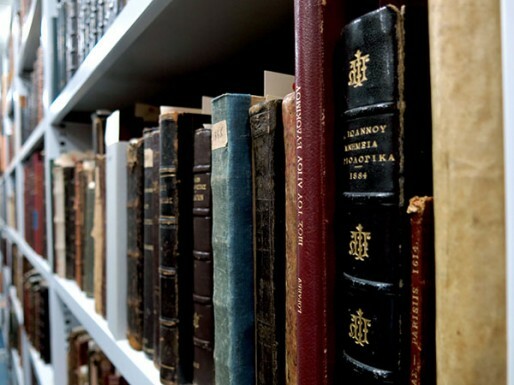 Researchers will not be able to access the Archives of the Gennadius Library between November 1, 2017 and June 15, 2018. H πρόσβαση των ερευνητών στα Αρχεία της Γενναδείου Βιβλιοθήκης δεν θα είναι δυνατή από 1/11/2017 έως 15/6/2018. Οι μεταπτυχιακοί φοιτητές του Πανεπιστημίου Αθηνών στο πρόγραμμα Διαχείρισης Μνημείων (Cultural Heritage Management) επισκέφτηκαν τα Αρχεία της Αμερικανικής Σχολής Κλασικών Σπουδών, με πρωτοβουλία του καθηγητή τους κ. Διονύση Μουρελάτου. 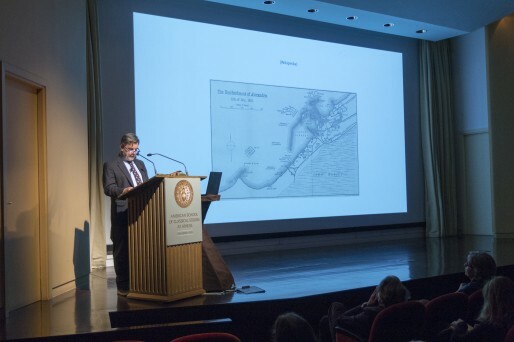 International Conference explores the reception of Hellenism in Latin America. 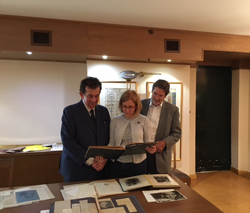 Conductor, artistic director, and collector Peter Tiboris visited the Gennadius Library where ASCSA director Jim Wright, librarian Irini Solomonidi, and archivist Natalia Vogeikoff-Brogan showed him rare editions from the collections of the Library, and the papers of Dimitri Mitropoulos from the Archives. Thrilled to see some of Mitropoulos's scores and letters, Peter shared with us that he collects batons and that he is proud of owning one of Leonard Bernstein's four batons. He also shared with us Bernstein's memoirs of his rival Dimitri Mitropoulos. The American School is saddened to learn of the death of Lloyd Cotsen on May 8, 2017. 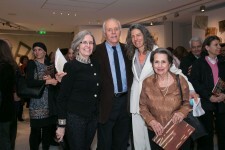 His love of Greece and the Greek people was on view at the School's Annual Gala Wednesday night and his family accepted the Gennadius Prize on his behalf. See the video tribute here. 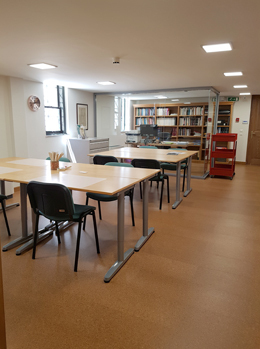 Take a peek inside our Gennadius Library rare book room with Senior Librarian Irini Solomonidi to learn about the first printed Greek editions of Homer. 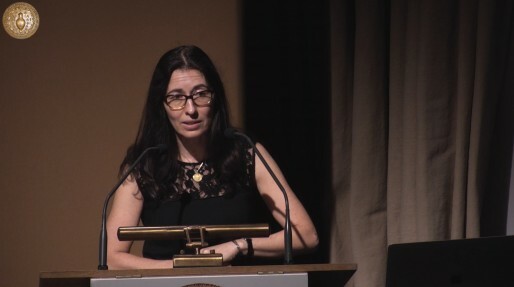 Maria Georgopoulou, Director of the Gennadius Library announces that Constantine (Deno) and Marie Macricostas, through the Macricostas Family Foundation, have pledged a $1.5 million gift in support of the Library’s new west wing. 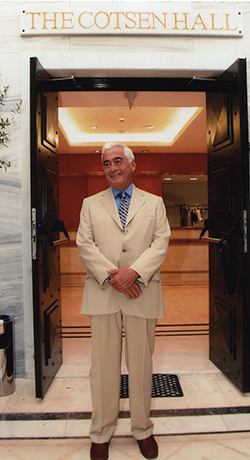 In acknowledgment of this significant gift, the space will be named the “Ioannis Makriyannis Wing” at the wishes of Mr. and Mrs. Macricostas, in honor of the Greek patriot General Makriyannis (1797–1864). 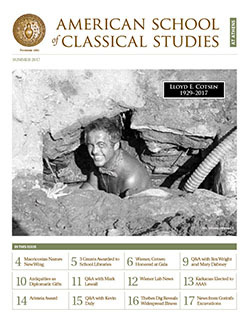 The Overseers of the Gennadius Library of the American School of Classical Studies at Athens (ASCSA) will honor Lloyd E. Cotsen, former President of the ASCSA Trustees and the first Chairman of the Overseers, as the second recipient of the Gennadius Prize for “outstanding contributions to the advancement of knowledge of post-antique Greece” at the ASCSA Gala in New York City on May 10, 2017. 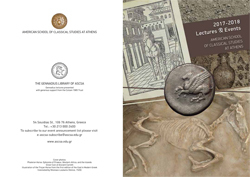 The Gennadius Library of the American School of Classical Studies at Athens is organizing with Gregory Jusdanis, Humanities Distinguished Professor of the Ohio State University, a three-day conference entitled “One Hundred Years of Dialogue: Latin American Approaches to Hellenism” on May 18-20, 2017. 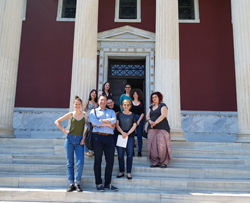 The famed international art exhibition Documenta 14 is officially open in Athens, and the Gennadius Library is one of the hosts. Το Λύκειο της Νέας Ερυθραίας στη Γεννάδειο Βιβλιοθήκη για να δει από κοντά τα αρχεία της "Γενιάς του '30"
Με ιδιαίτερη επιτυχία πραγματοποιήθηκε το συνέδριο που διοργανώθηκε, από κοινού, από τη Γεννάδειο Βιβλιοθήκη της Αμερικανικής Σχολής Κλασικών Σπουδών στην Αθήνα και το Ίδρυμα Αικατερίνης Λασκαρίδη και τελούσε υπό την αιγίδα της Κοινοπραξίας Ερευνητικών Βιβλιοθηκών της Ευρώπης (CERL). Work continues in the West Wing of the Gennadius Library but the dates of the necessary move are not fixed yet. 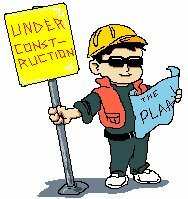 We anticipate the closing to happen sometime in the summer months and not in the spring as previously announced. We are sorry for the inconvenience. Η Γεννάδειος Βιβλιοθήκη διοργάνωσε την Τετάρτη 22 Φεβρουαρίου μία πρωτότυπη βραδιά με την ανάγνωση ενός κινηματογραφικού σεναρίου που βασίζεται στο έργο του Στράτη Μυριβήλη «Ο Βασίλης ο Αρβανίτης». Η εκδήλωση πραγματοποιήθηκε στο αναγνωστήριο της Βιβλιοθήκης και το σενάριο διαβάστηκε στο σύνολό του. 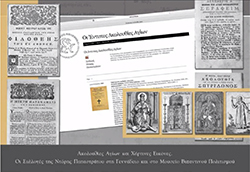 The online home to the catalogues of the Gennadius, Blegen,Wiener Laboratory, and the British School, the new AMBROSIA is simpler and easier to use. Anna Stavrakopoulou will talk on "Karaghiozis Performances from the Cities to the Countryside" while Serdar Öztürk will give a speach on "The Affective Public Sphere: Karagöz Talks to Ottoman Coffeehouse Frequenters". 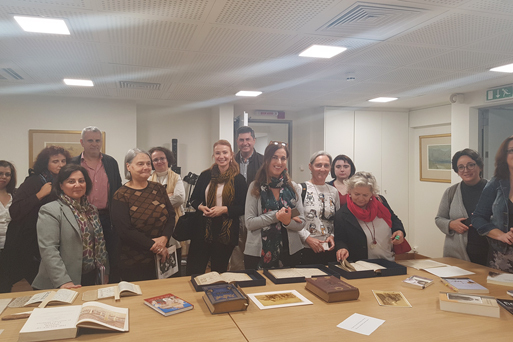 The Gennadius Library generously shared treasures from their rare collection of books with a group of scholars studying textual interpretation. Ginger F. Zaimis is an American poet, essayist and polymath who specializes in architectural forms. She is the Arts and Literary Chair (Greece) for the International Friends of Bibliotheca Alexandrina, The Library of Alexandria. 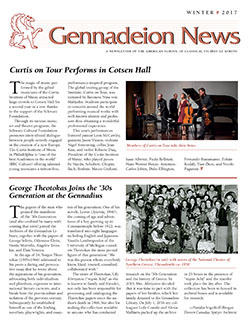 The New York Times Democracy Forum and the Nights of Classical Music at the Gennadeion highlight a year of stimulating lectures and events ahead. 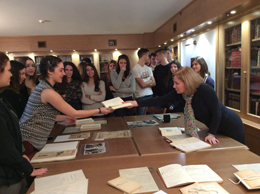 Irini Solomonidi attended a course on incunabula at the Institut d’histoire du livre in Lyon. 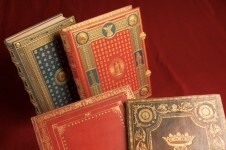 Some of the most important recent acquisitions of the Gennadius Library are on display in the Reading Room. N. R. Visalatchy, Director of the Department of Archaeology & Museums of the Government of Telangana (India) visited the American School. 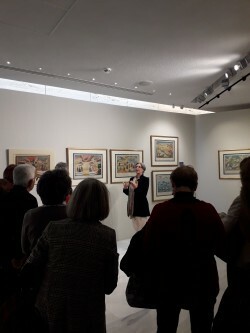 In June 2016, visual artist Judith Allen-Efstathiou donated to the Gennadius Library the Mapping the Walk archive, which consists of 36 original graphite and gouache drawings. 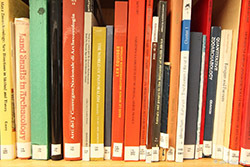 The Blegen library is happy to announce the acquisition of four new online subscriptions. As always, we value your feedback and welcome any comments you may have. 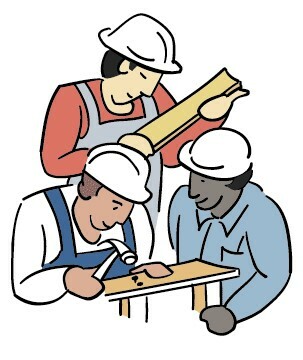 Οι κήποι της Αθήνας χθες, σήμερα …αύριο. Σεμινάριο στο πλαίσιο της έκθεσης "Flora Graeca" πραγματοποιήθηκε την Πέμπτη 23 Ιουνίου στο Αναγνωστήριο Σπάνιων Βιβλίων Μανδύλα από την κα Σταυρούλα Κατσογιάννη, Γεωπόνο, Αρχιτέκτονα Τοπίου Msc. Tour the exhibition "Flora Graeca" with a new app by ClioMuse. Στo πλαίσιo της έκθεσης Flora Graeca και με αφορμή την Παγκόσμια Ημέρα Περιβάλλοντος, η Γεννάδειος άνοιξε τις πόρτες της στους μαθητές της Β’ τάξης του 1ου Δημοτικού Σχολείου Σπάτων την Τετάρτη 8 Ιουνίου 2016. Σεμινάριο στο πλαίσιο της έκθεσης "Flora Graeca" πραγματοποιήθηκε την Τρίτη 7 Ιουνίου στο Αναγνωστήριο Σπάνιων Βιβλίων Μανδύλα της Γενναδείου Βιβλιοθήκης. Η κα Ιωάννα Χαρίτου Μπάρτσικ παρουσίασε την Ανθοδετική Τέχνη Ikebana της Σχολής Ohara της Ιαπωνίας. 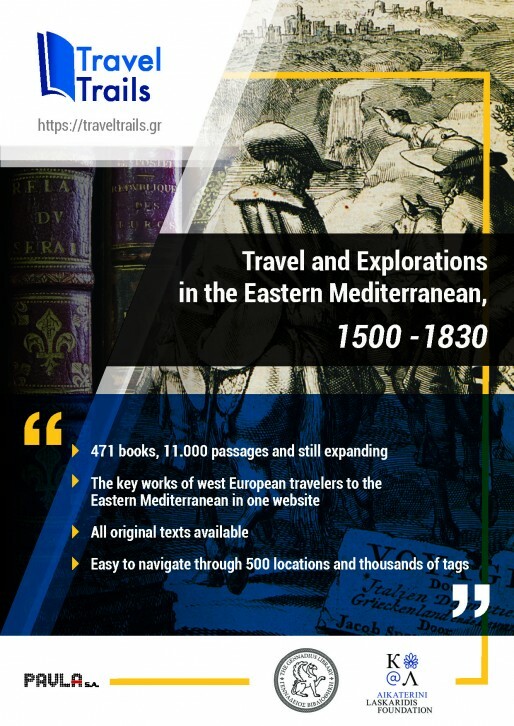 From July 1 to August 31, 2016 the Gennadius Library will be open to the public: Monday – Thursday: 9:00 – 16:30 Friday: 9:00 – 15:00 Saturday: closed The Gennadius Library will be closed: August 15 - 20, 2016. The "Flora Graeca" exhibition will not be on view for the public on Monday June the 6th. Σεμινάριο στο πλαίσιο της έκθεσης &apos;Flora Graeca&apos; πραγματοποιήθηκε την Πέμπτη 2 Ιουνίου. Η Αν. Καθηγήτρια Οικοφυσιολογίας Φυτών του Τμήματος Βιολογίας του ΕΚΠΑ Σοφία Ριζοπούλου μίλησε για τα χρώματα της άνθισης των φυτών της Flora Graeca. Σεμινάριο στο πλαίσιο της έκθεσης "Flora Graeca" πραγματοποιήθηκε την Πέμπτη26 Μαΐου στην αίθουσα Μανδύλα της Γενναδείου Βιβλιοθήκης. 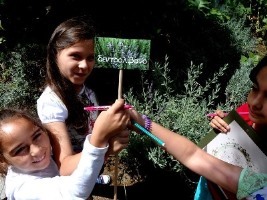 Σεμινάριο στο πλαίσιο της έκθεσης Flora Graeca πραγματοποίησε η Δρ. Ελένη Μαλούπα, την Πέμπτη 19 Μαΐου στην αίθουσα Μανδύλα της Γενναδείου Βιβλιοθήκης.